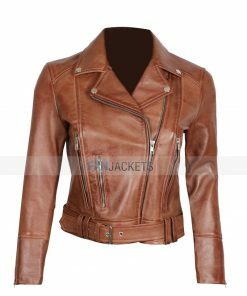 Defiance - Julie Benz Jacket. Free Shipping. With a neat and accurate design exactly as in the images and fine leather quality, this jacket exceeds more than my expectations. Simply awesome. I am really impressed with the delivery speed. Fastest shipping I ever experienced. I have purchased many products online but this one is the most unique one. 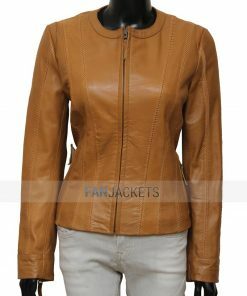 This is the first jacket in a brown colored leather. It looks great with my shirts. 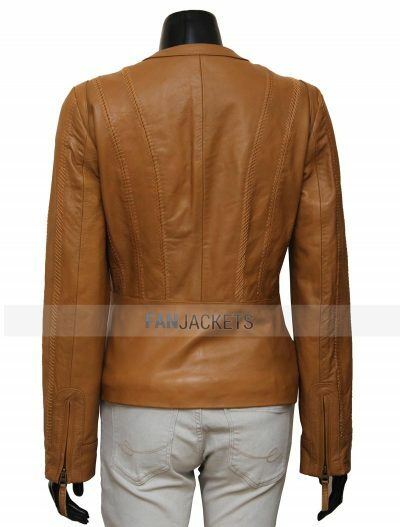 This jacket is inspired by Julie Benz’s character Amanda Rosewater in “The Defiance” TV series. 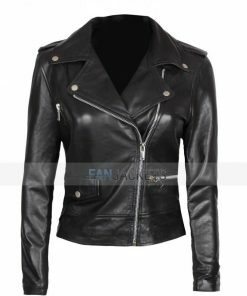 The Defiance Julie Benz Jacket is made of real leather. Embroidery lines are designed to make it look like the original and give you a gorgeous look. It has a front zip closure with two outside pockets. Buy this jacket now.